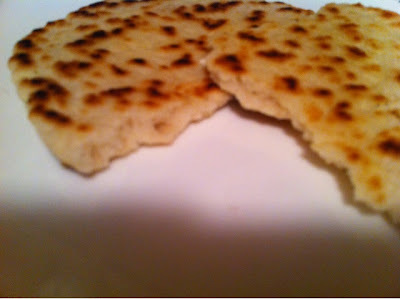 Naan is a Flat bread, Originally, naan is a generic term for various flat breads from different parts of the world. In many of the restaurants in India it is served as a starter. Generally 1 or 2 naans will fill your stomach, the size of the naans are that big. Also these naans come in various flavors very famous naan variety is garlic naan. I remember ordering this every time when I have been to a restaurant in India. The best vegetarian combination is Panner butter masala and Garlic naan. And for the Non vegetarians Chicken tikka masala and onion naan is the best combo. In Turkic languages, such as Uzbek, Kazakh and Uyghur, the flat breads are known as nan. The name stems from (New) Persian, a generic word for bread. In Burmese, flat breads are known as nan bya(Source Wikipedia). Preparation of naan is not an easy task, it takes about 2-3hrs. 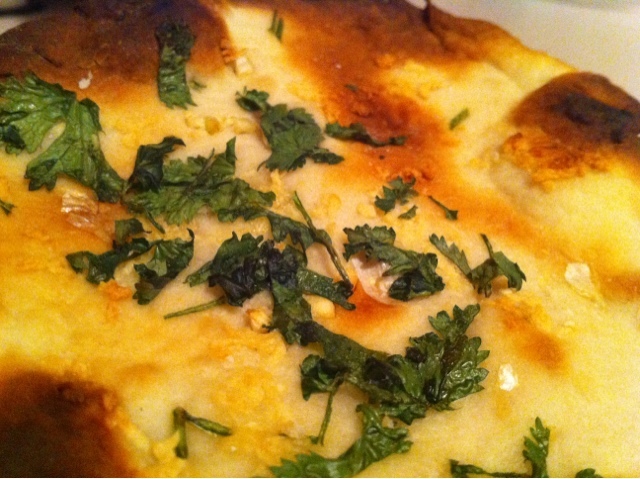 For making flavored naans, you will need grated garlic 2tbsp or chopped onion 2tbsp, chopped coriander-2tbsp. 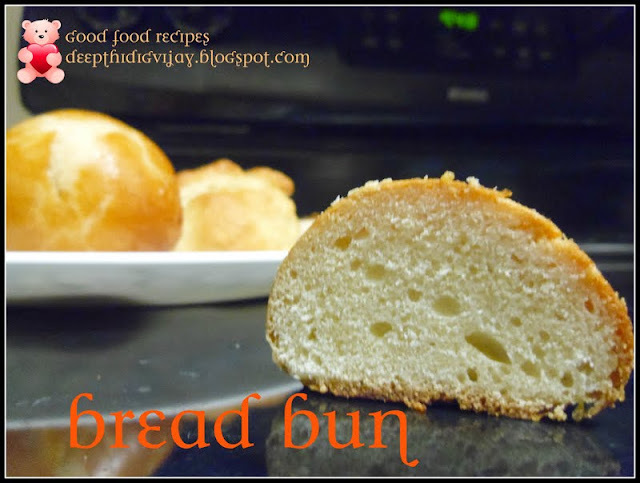 Take warm water and add dry active yeast and sugar. Keep it aside for 10min until it starts foaming. Take a large mixing bowl and add all purpose flour, salt and mix well. When the yeast moisture is ready, if you are using yogurt/Curd beat it well, if you are adding egg beat well. 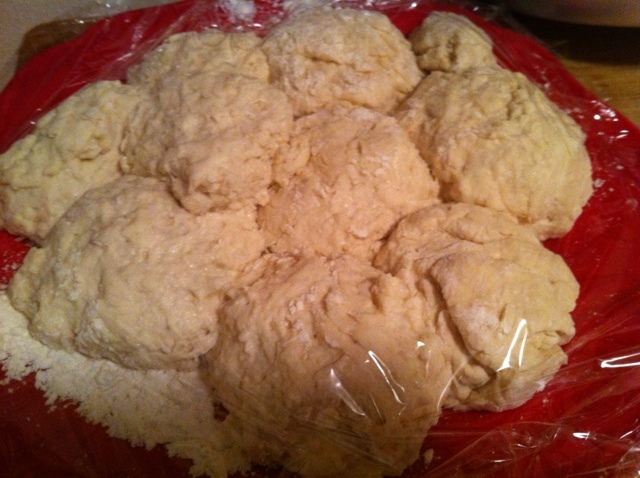 Add yeast mixture and yogurt/egg mixture to the flour along with oil and mix well. Cover the batter with wet cloth and keep it aside in the warm place for about 1 or 2 hrs until it rises double in volume. When the dough is ready, take the dry flour in your hands and sprinkle on the dough, separate the dough in to 8 equal parts and place them in a plate and allow it to raise for 15min again. Roll each doughlet in to oval shape, by sprinkling the dry flour if required. I just used the tava/Skillet for cooking them, when i made them in the conventional oven they turned crispy like biscuits, so I sincerely request you not to try in the oven if you follow the same steps as mentioned above. 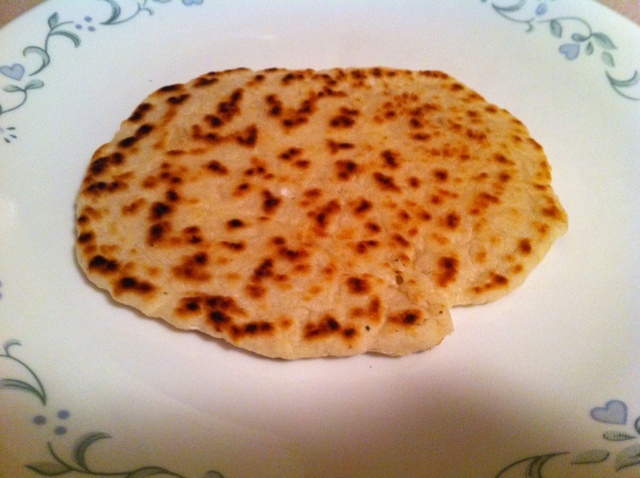 Heat the skillet and place naan on it and cook under medium flame for 1min and when it starts fluffing up turn it to the other side and cook on the other side too!! !, when you see brown color spots on the naan then your naan is ready to serve, you can serve it by just smearing the butter on top!!! If you follow the same steps, you will get the fluffy and soft naan's. If you want to make a garlic naan, just sprinkle some grated garlic on the top and press it while making the oval shape with dough let. If you are making onion naan, chop the onions into very fine pieces and sprinkle them on the top of the dough when you make into oval shape. 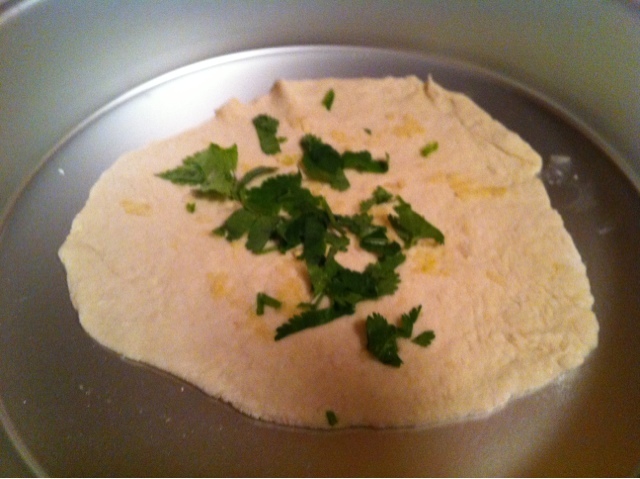 Then fold the dough just as if you fold a hand kerchief and roll it again in to oval shape and cook it!! Hope you like my recipe!!! Please leave your valuable comments before leaving!! !